TGIF!!! Which of course means that it’s time for the BlogHop and the Follow Friday and a review of we did this week! while reading or blogging, if any? Oh for me it’s COFFEE: Black. Hot. And lots of it! As the mother of three aged four and under, coffee is the only thing that keeps me moving and makes me lucid throughout the day. And I always have a least one mug of coffee wherever I am, be it in front of my blogging laptop or in my recliner with a good book! Thanks, Suko and Jen, for the great question and the awesome hop!!! We don’t have a set number of reviews that we do each week, although we try to have at least two posts a week as reviews. Since there are five of us that’s not usually a problem. More often we have the problem of finding free day on our posting calendar to schedule a review, but that’s a pretty good problem to have, I think. It means we’re all getting some time to read, which is the whole point, right? We love networking so much! So please stop by both Parajunky’s and Amy and Jennifer’s sites as well and see who else is out and about doing the book blog networking thing! Finally, we’d love to take the opportunity to welcome all the new faces and the old ones too! *waves* Glad you are here and we hope you like it here at the Bewitched Bookworms. We did a little update post for a book you may of heard of, Beautiful Darkness, which will be out in THREE LITTLE DAYS!!! In our update post, we squee for the release and mention the book discussion that we’ll be hosting here this winter for it. Please check that out! Cutie posted this week’s Notable Quotables post with a great quote from J.D. Salinger. Come see which quote she chose, why and join the meme! Susie from Apples N Feathers and I reviewed two frequently challenged books, The Color Purple and The Chocolate War, in honor of Banned Books Week. We got a peek into Heather’s bookshelf with this week’s In My Mailbox meme. Danny posted our 100th Book Review (WOOT!) on a book she’s been gushing about to us for a while, Personal Demons by Lisa Desrochers. Danny also reviewed Clockwork Angel by Cassie Clare and no shock here, it was GOOD!!!! We were honored to be the August winners of the I Love Your Blog Award from Black Nailed Reviews. Check out our interview here!! Heather gave us her Waiting on Wednesday selection. It’s Port Mortuary by Patricia Cornwell and from the comments it sounds like Heather’s convinced a lot of readers to add that series to their TBR piles. Heather does know how to pick a book so check her post out! Remember a few weeks ago when Cutie invited YOU to pick the next books she reads? Well, Cutie did as she was told and reviewed both Jekel Loves Hyde and Beautiful Malice. Check out her post and see what she thought! Uhyesplease got the chance to review a great middle grade novel, Call Me Kate by Molly Roe that came to us on a blog tour. Come see why she really enjoyed it! Heather and I were completely enthralled by a great paranormal/suspense book we were sent for review Jenny Pox by JL Bryan. Come see why you’ll want to read it too!! There’s still time to enter our EPIC 500+ Followers contest! It’s running through October 15 and there will be NINE LUCKY WINNERS. Enter today! 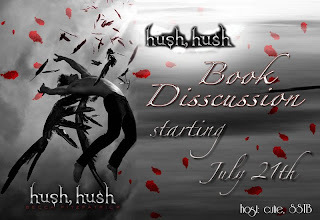 And as many of you are aware, Cutie is hosting an epic hush, hush discussion! This week’s post is by Tasha of Something Less Productive. If you enjoyed hush, hush, you should DEFINITELY check it out! AND everyone who comments is entered for a chance to win a pre-ordered copy of Crescendo! Check out the give-away rules here. So, you can see, it was another fabulous week here So if please take a moment, check us out and enjoy. Dusk till Dawn : Read-A-Thon – Join the Fun! HopediHop from Blog to Blog, Follow Friday, Weekly Roundup and Bloggy Love! I am a new follower as I love your blog. I spent some time reading a few of your reviews and other posts and I will be back to visit again. I'm already a follower just stopping by to say hi. Hope you'll stop by and enter one of my many giveaways or sign up to join the Spooktacular Blog Hop or Gratitude Giveaways Hop. My husband drinks black coffee. Happy weekend. I don't drink while reading or blogging. I'm an old follower! I love coffee too! Hopping by to say hello ! I am a caffeine addict! I am an old follower. Have a great weekend! Old follower just hopping by from both HOPS. Have a wonderful weekend! You guys have a great blog! If I had three kids, I'm sure I would be drinking lots of coffee too, ahaha. Anyway, I'm an old follower just popping in to say hi and have a great weekend! If you get a chance, you should check out my blog. I've got a giveaway going on that the moment. Just hopping by and following! Cute blog. I'm looking forward to your reviews. I always have to have something to drink near me, usually Diet Coke or water. Or a Barq's Root Beer if I'm feeling adventurous! Yes, I'm hopping all over the place. This is fun though! 😀 I drink Mountain Dew when I cuddle up to read. Add a little chocolate with a good book and I'm in heaven! Thanks for stopping by!! I was just over by your blog and it's so nice. Thanks for stopping by, Inspired Kathy! I pooped over by your blog and you're not kidding, you have the motherload of give-aways listed there. So awesome! Thanks so much, Becky! Will do! Thanks, 1G2MB! Yes, the kids keep me busy but it's all fun. Hope you have a great weekend too! It's an acquired taste. I used to favor LOTS of cream and sugar but in an effort to prevent the ever-expansion of my waistline, I learned to love it. Now it really is my preferred way to drink it. Have a great weekend!! Thanks for hopping by! I can't believe you can work all day AND THEN go work out!! That's so impressive! If I don't make the work out happen first thing in the morning it just won't happen. Have a great weekend!!! Thanks for hopping by, Misha!! And you're not an addict. You're an aficionado! At least, that's what I tell myself! Have a great weekend!!! Hooray! I'm so glad you found us, Anna! We LOVE meeting new and interesting people via the blog hop, so thanks for leaving us a comment so we can get to know you! Have a great weekend! Thanks, Stormi!!! Have a great weekend! Thanks, Ragan J!! Hope you have a great weekend too!! Thanks, Tara!!! Have a great weekend! Thanks, Mary!!! And I too enjoy a good root beer upon occasion, although I prefer them in glass bottles instead of cans. Only for root beer. Weird, hunh? Have a great weekend!! Thanks for hopping by, Judith! And chocolates and books are a match made in heaven! Have a great weekend!!! Here from the hop! Happy reading and have a great weekend! 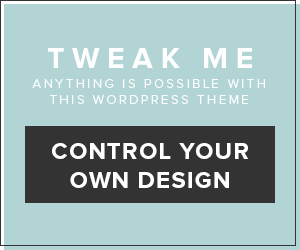 Love your site design, as I've mentioned before! Hopping by! I'm an old follower and think i will check out the paranormal book! I'm so on the mood for paranormal lately! Come to see Murphy's Library too. Just stopped by to say Hi on hop friday. My recent post OCCBF and Follow My Book Blog Friday! Stopping on by from both Hops! I'm a new follower now. You have a lovely blog here. Looking forward to reading! My recent post Book Blog Hop and Follow My Book Blog Friday! Check out my Blog Hop, Follow Friday and Giveaway HERE! Thanks for hoppying by, Jen. I just checked out your site and became a follower too. Happy weekend! My recent post Book Blogger Hop 1! Thanks, Suko!! And congrats on asking this week's question! Your drink of choice sounds divine!!! Thanks so much for stopping by and congratulations on your success at the book fair! WOOT for you! Thanks so much and we're so happy you hopped by! I'm forced to wonder what that means…..hopefully you mean with tons of cream and sugar! 🙂 Thanks for hopping by! Emi, as long as you're saying you love us, you can say it however you please!! Thanks for hopping by! I have no kids but my small army of cats (4) manage to make it seem like I have 4 kids, especially since Thurman (the kitten) doesn't sleep much! So coffee all the way! Just hoping by, following and saying hi. If you have any scary or paranormal reviews, intereviews, or giveaways, then make sure to stop by my site and add them (anytime this month) to my Giving me the Creeps October page. I'm hoping to spread the word on some blogs and share the scary all month long! My recent post Book Blogger Hop and Follow Fridays not to mention Giving me the Creeps October Loot! Hopping by to follow! WOW! What an incredible blog! I LOVE your header. There is so much here that I don't even know where to begin….. I can see I'll be spending a good deal of time on this blog! Hope you'll drop by mine, not quite as much there YET but as soon as I can drag myself away from all these awesome book giveaways, I AM going to get back to my books lol. This is still all new to me, I had no idea there was all this giving away of books going on all this time! Well happy friday!!! Thanks for hopping by!! BTW, the picture of your cats dressed up as pumpkins MADE MY DAY!!!! LOL! Thanks for hopping by! And thanks. Although if you go back to February, you'll see that we've grown a lot in just a few months. I think it can be daunting when you first start out and see what everyone else is doing but if you just do your own thing, you'll see how quickly you grow. 🙂 Have a great weekend!